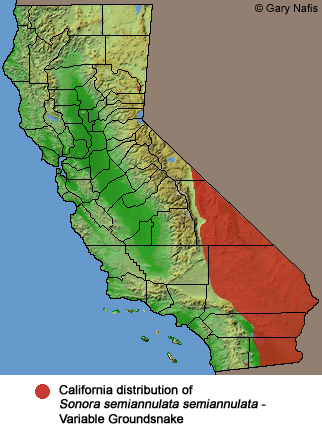 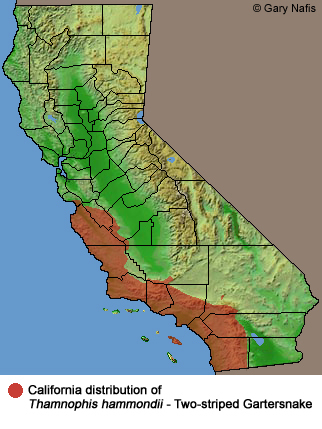 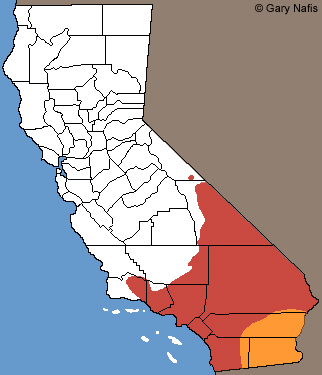 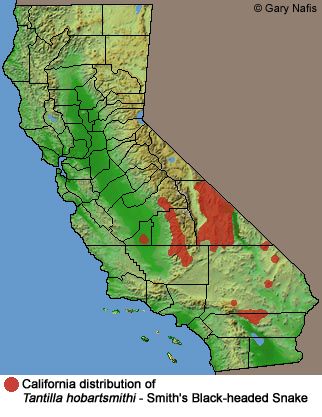 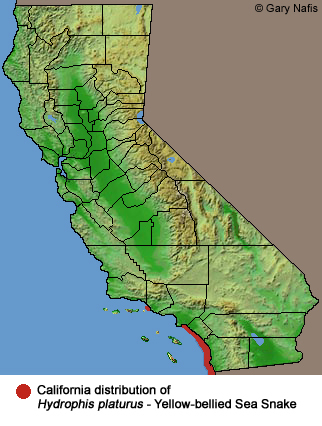 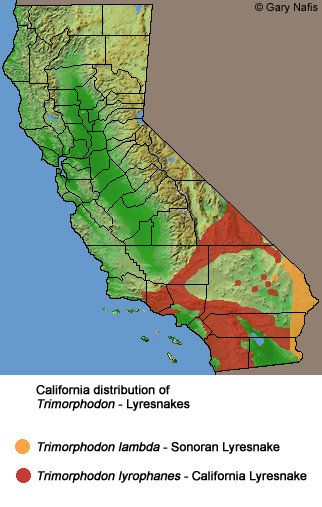 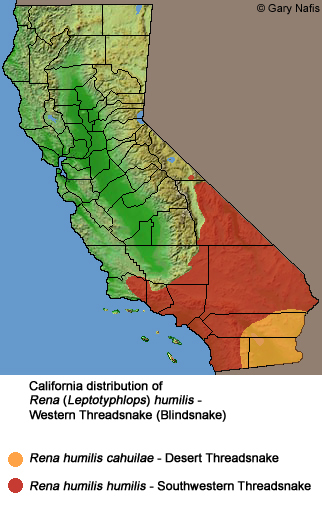 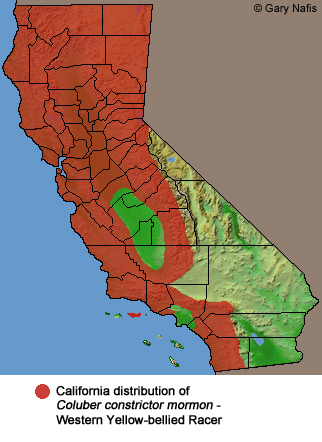 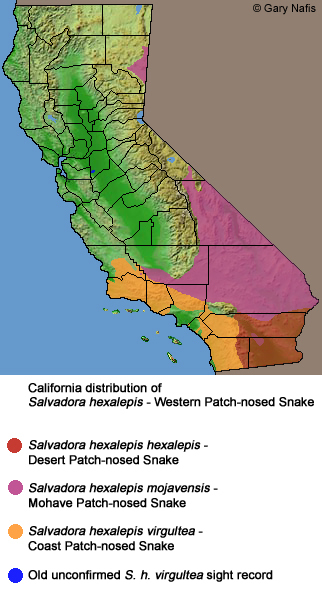 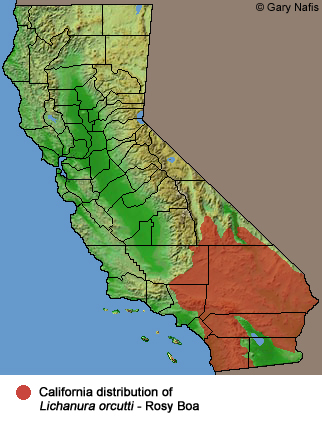 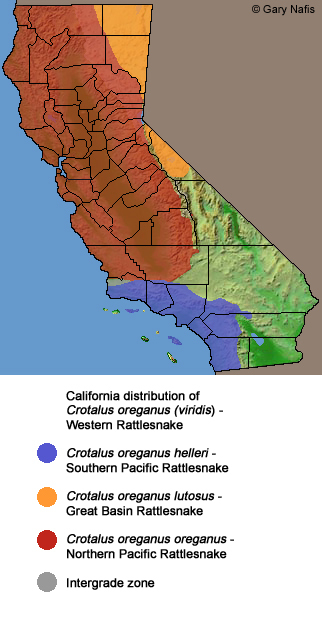 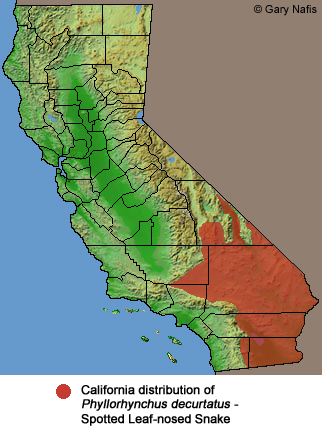 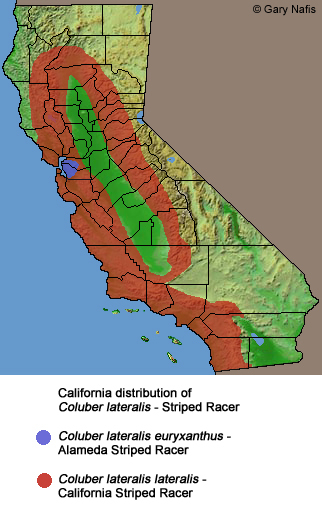 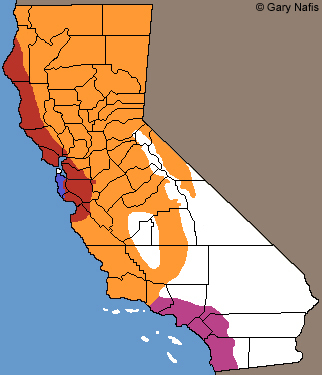 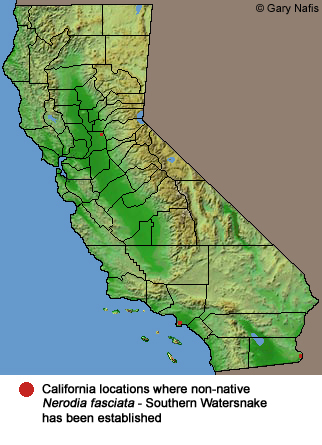 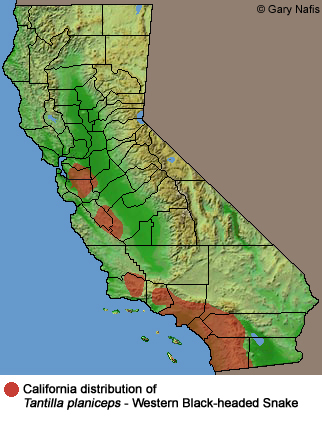 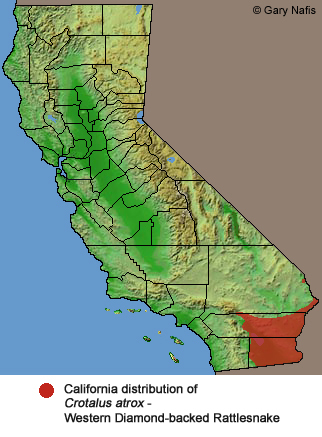 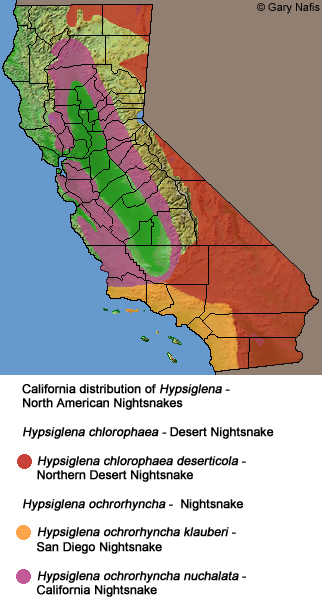 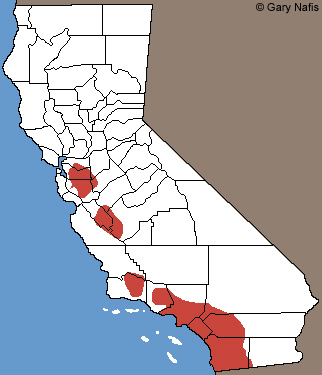 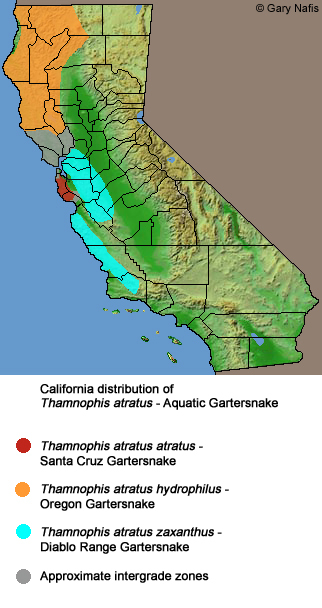 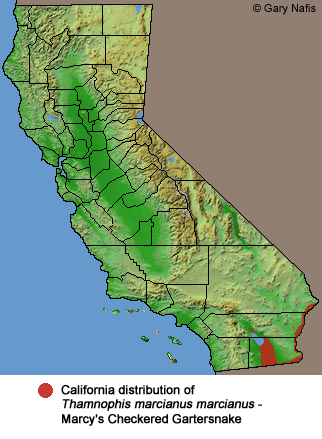 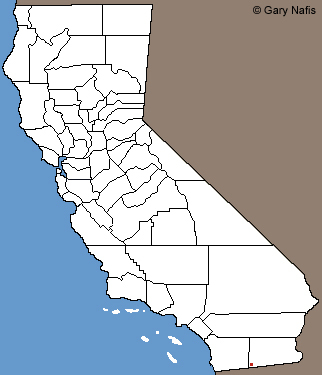 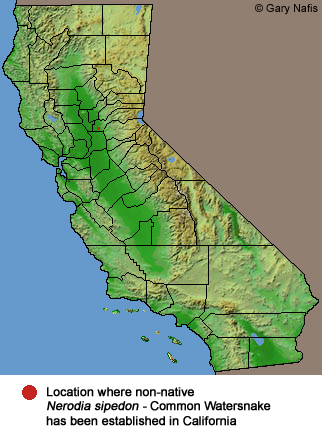 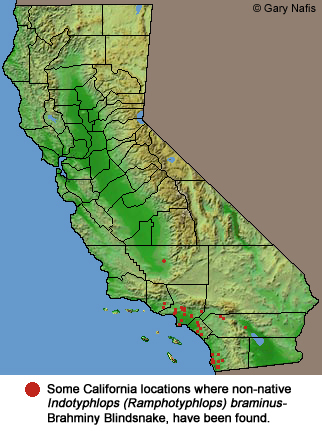 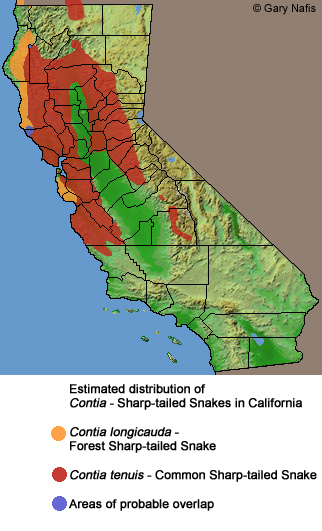 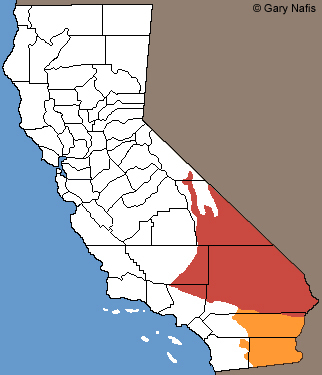 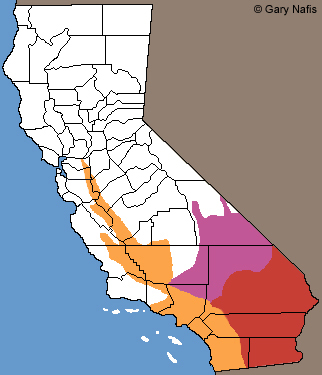 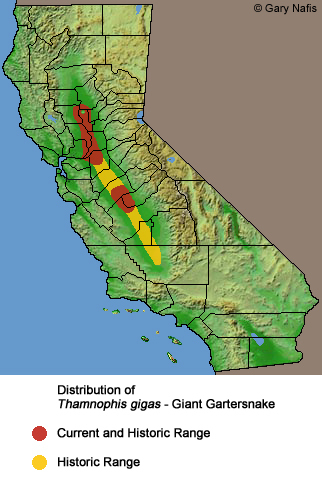 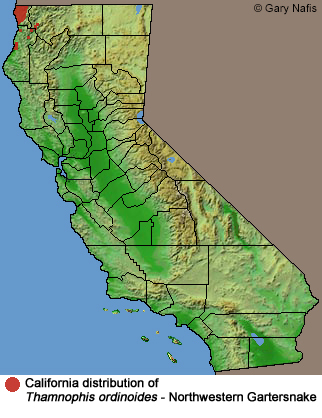 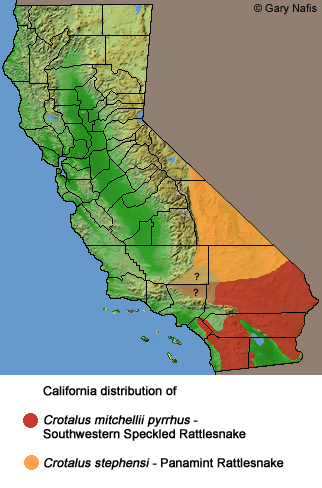 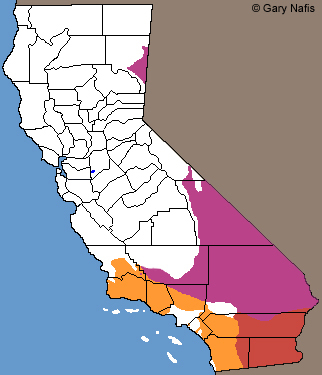 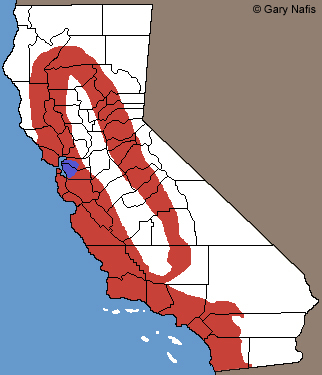 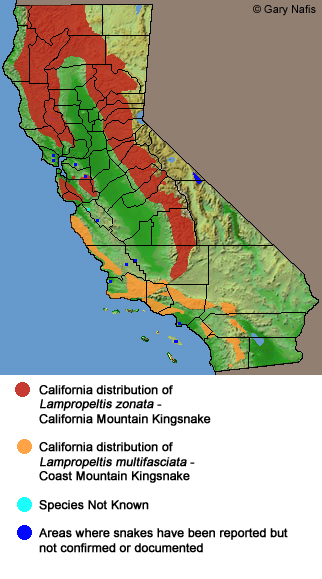 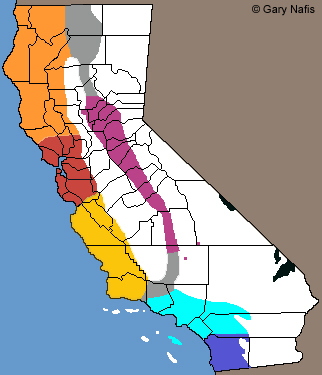 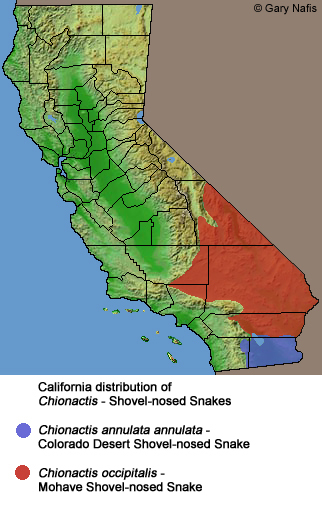 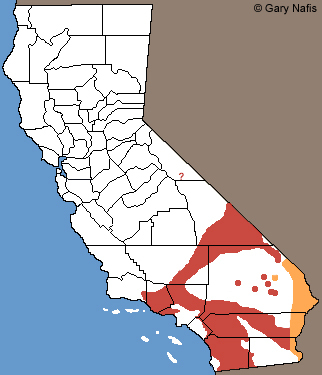 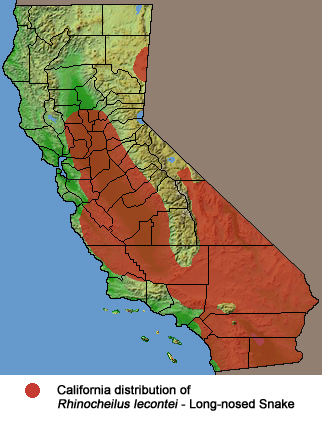 These maps illustrate the general historic range of indigenous and alien snakes in California. 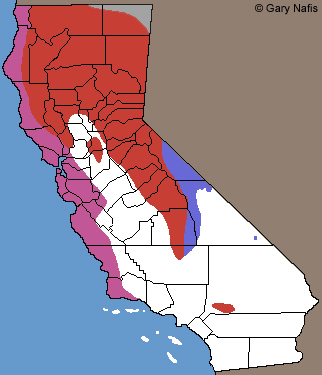 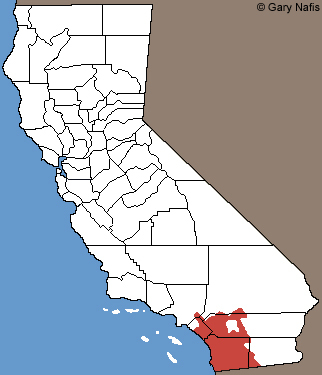 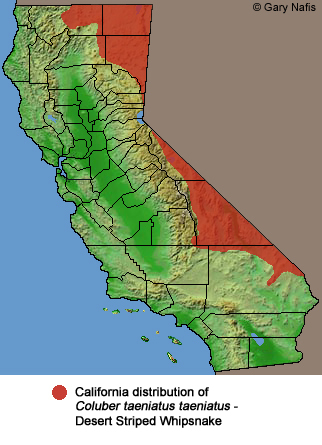 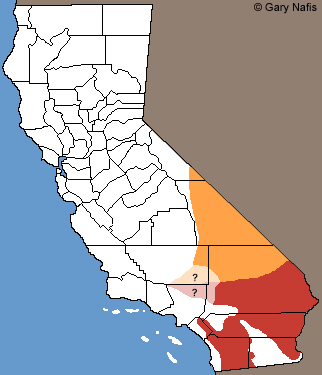 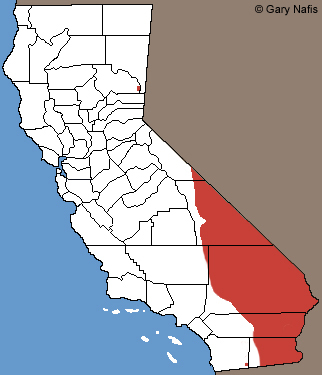 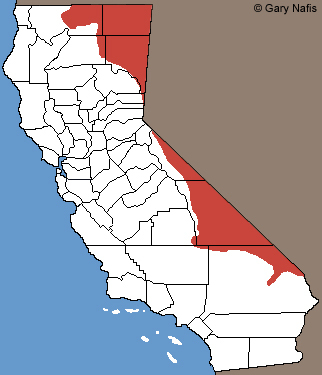 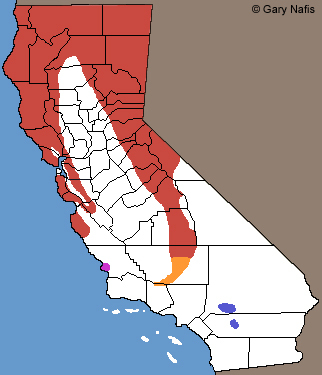 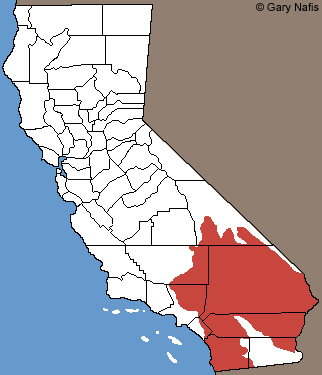 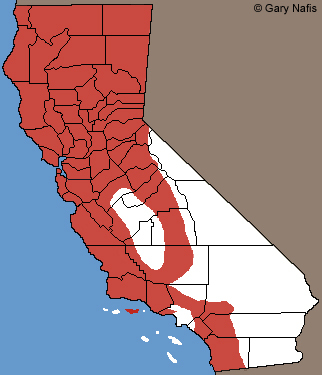 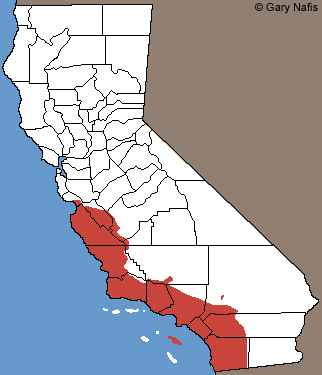 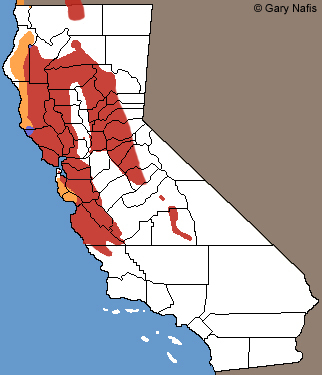 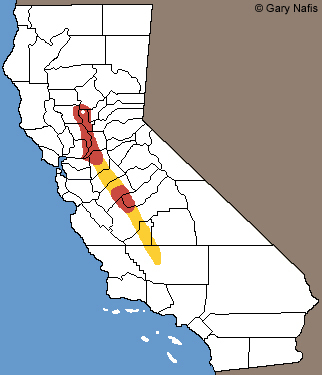 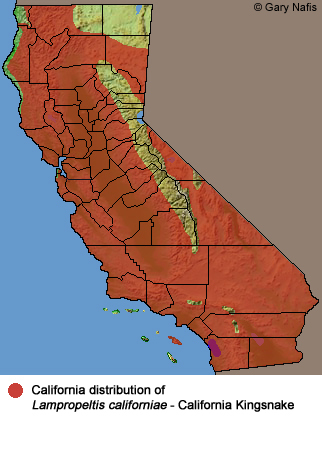 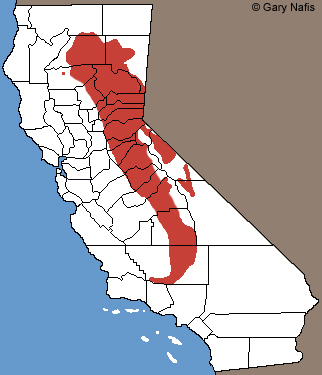 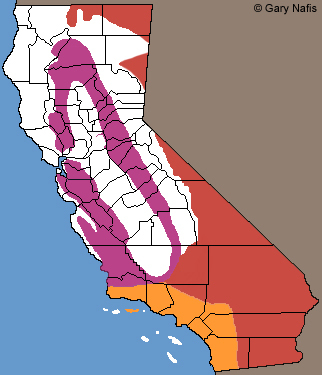 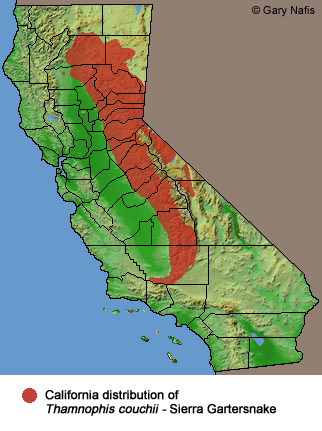 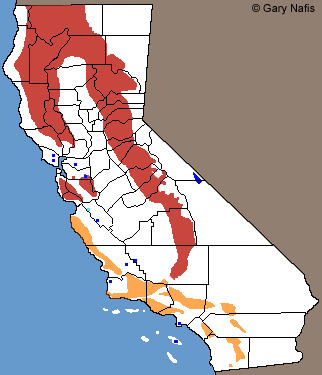 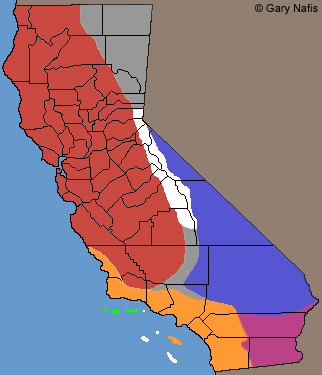 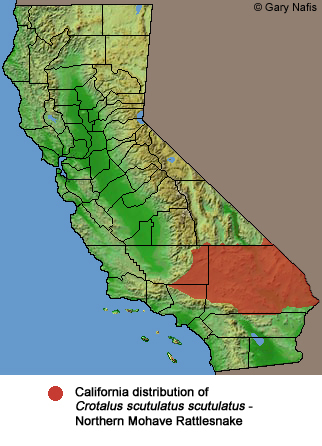 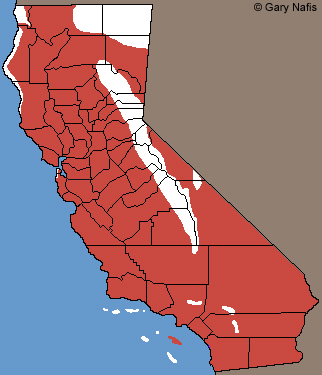 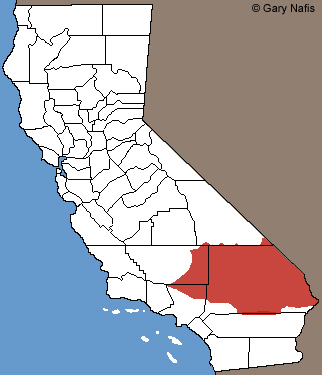 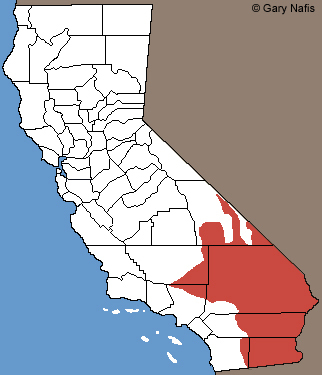 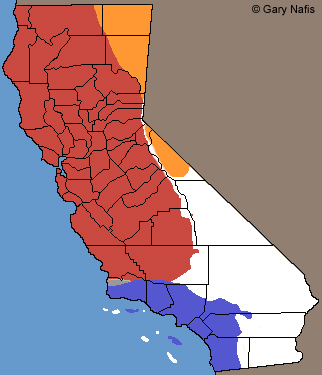 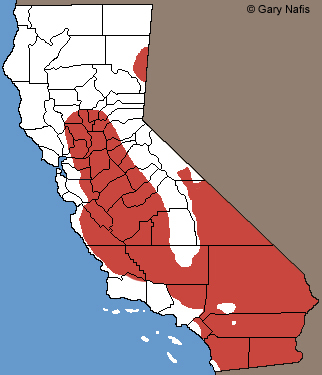 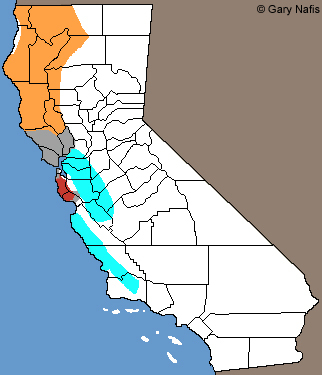 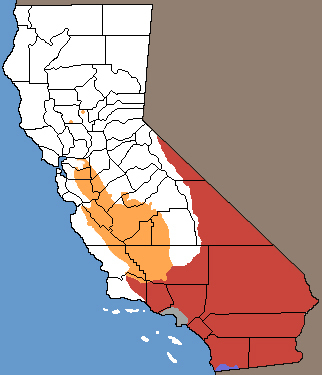 Red, or another color indicated below the map, shows this distribution. 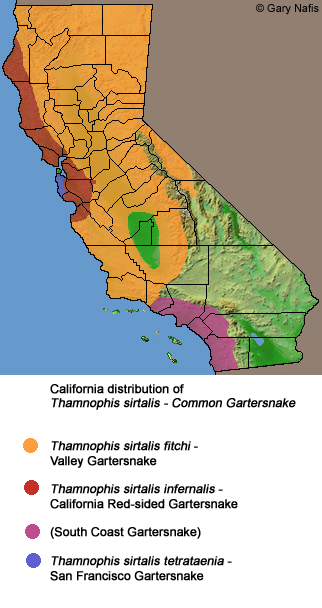 Snakes of the species or subspecies shown are expected to be found within the illustrated area in places where suitable habitat and conditions occur. 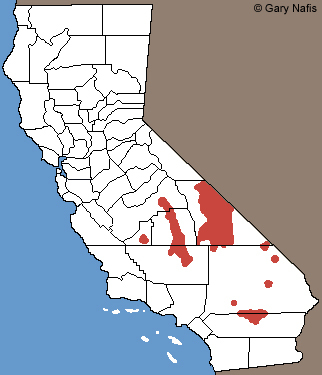 In some cases, the current range may be fragmented or considerably diminished from the range illustrated here. 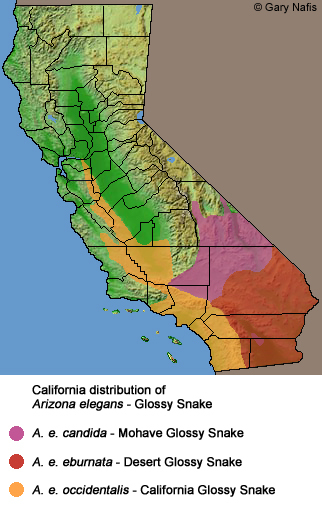 Click on the name link for pictures and information about a particular snake. 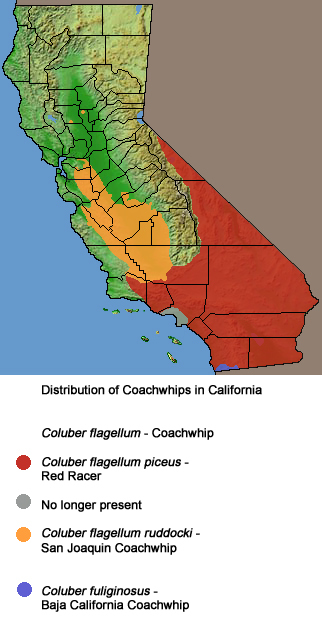 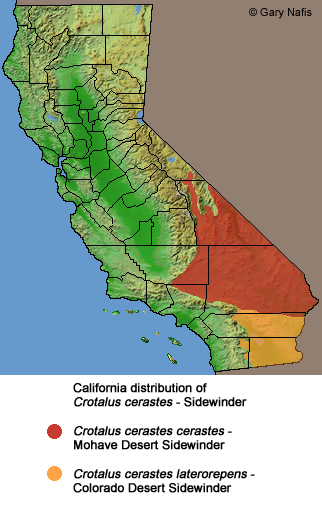 is recognized as potentially C. umbratica by the CDFW. 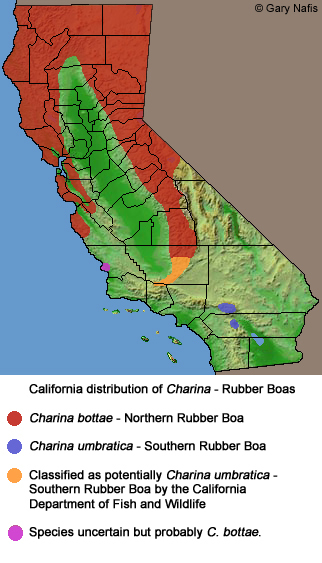 boas of unexamined species, most likely C. bottae.